After recently completing its 25th year in Mannheim, Germany, Time Warp continues its journey. For over two decades it has been a massive influence and has gained a reputation that has expanded well beyond its iconic festival. Time Warp photos have been surfacing of a sign that stated “Save The Date” with USA at the bottom, it was five years when it reached America and last time Ricardo Villalobos performed. 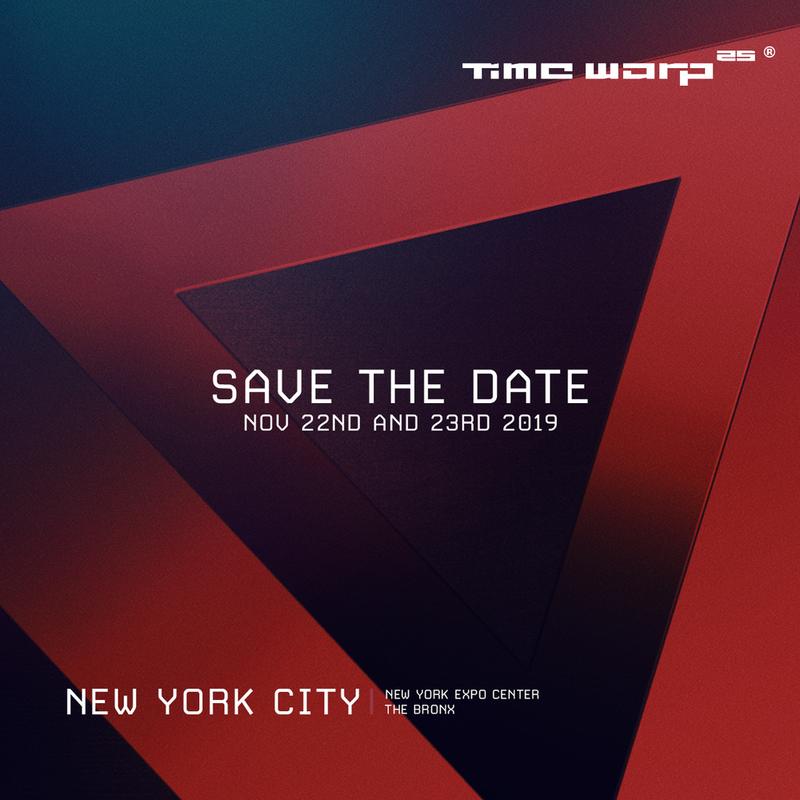 Time Warp returns for its third-ever US event, taking New York warehouse in the Bronx on November 22nd - 23rd with techno promoters Teksupport. Time Warp is known for its combination of high volume production and technology to create a mecca techno festival with first-class bookings. Time Warp is also returning to Brazil later this year, bringing its full production and immersive musical environment. With expertly chosen venues that amplify the elements at play, Time Warp assures an unparalleled experience that begins immediately upon entry. Time Warp began in 1994, and the brand has been a home techno titans like Sven Väth, Richie Hawtin, Laurent Garnier, Len Faki, and Ricardo Villalobos. Inviting the next techno generation of powerhouses giving Amelie Lens, Charlotte de Witte, SHDW & Obscure Shape a platform from which to ascend. Celebrating its fifth year anniversary in 2019, Teksupport has produced some of the most unique and ground-breaking events with European brands like Circoloco and also Time Warp to Manhattan and scouted the city to unearth new locations, throwing parties in submarine factories, navy yards, subterranean ballrooms, and industrial warehouses, building a reputation for pairing raw spaces with world-class event production. Teksupport pushes boundaries by hosting Time Warp 25th New York event. Save the date for Time Warp!